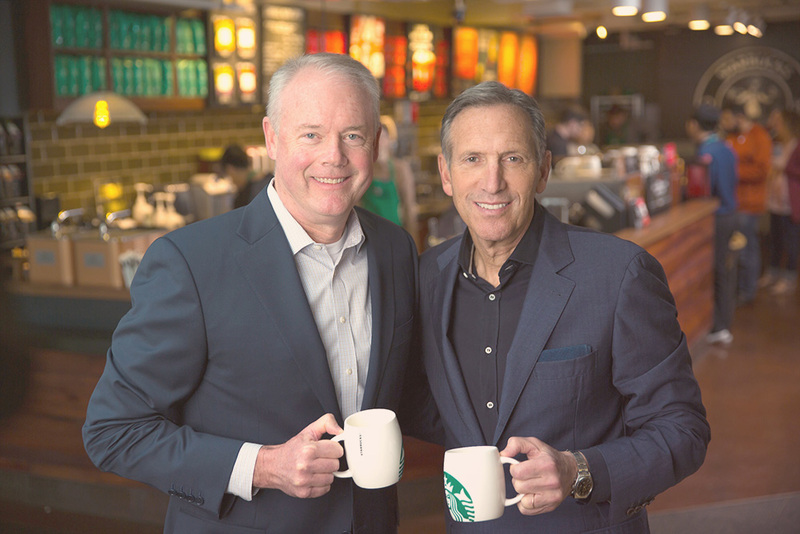 Kevin Johnson, CEO of Starbucks, and Howard Schultz, executive chairman, use Workplace by Facebook as an enterprise social network to leverage ideas from store managers across the U.S.
Enterprise social networks are a great equalizer between the C-suite and employees. Or at least, they can be – if CEOs are participating, listening, and following up on every employee idea. We frequently read about the CEO-to-employee pay gap – sometimes the CEO multiplier is thousands of times the wage of an average employee. The list of differences between the CEO and everyday employees runs on. 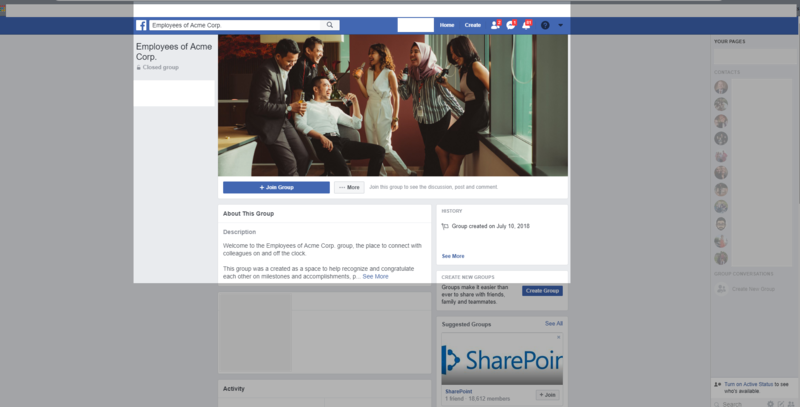 Companies using Workplace by Facebook or Yammer, however, have a unique opportunity to bridge those differences by placing the CEO squarely into the middle of the enterprise social network alongside employees. Whether your organization is an iconic global brand or a mom and pop local coffee shop, CEOs have a simple but powerful opportunity to listen, learn, and participate amongst their teams. Fostering connections among employees and the C-Suite on an enterprise social network isn’t rocket science. It ultimately boils down to building relationships through two-way communications and ensuring that the CEO does more listening than talking. 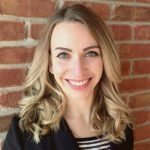 It’s not enough for an executive to just create an account or upload a profile photo to your company’s enterprise social network. Employees want open, visible leaders. A CEO’s activity within an enterprise social network is an opportunity to not only reinforce company values, but to humanize him or herself to field workers who feel disconnected from headquarters. Kevin Johnson, CEO of Starbucks, and Howard Schultz, executive chairman, use live video on Workplace by Facebook to host a monthly open forum for all U.S. store managers. Is a monthly live video awesome? Yes, but depending on your company culture, it might not be necessary. By simply “liking” or commenting on a post, an executive is providing affirmation to the employee. Your enterprise social network is an excellent place to dispel any turbulence about the company and its agenda. Talk Social to Me used Workplace by Facebook to crowdsource questions for CEO Michael Kneeland, of United Rentals. 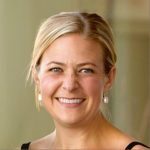 A C-Suite executive at United Rentals using crowdsourcing in Workplace by Facebook spurred excitement and empowerment among employees. It gave the company’s 15,000 people the opportunity to present questions, ideas and feedback to CEO Michael Kneeland for a future all-employee call. Employees previously only had the option of calling in live during the call to ask a question, but using Workplace by Facebook significantly increased feedback. This crowdsourcing is now a regular company practice. Encourage employees to share their thoughts and ideas within the enterprise social network. We’ve seen these invitations to employees from decision makers as an essential way to build trust and empower field workers. As Tony Pelaski, COO of Fruit of the Loom, which leverages Yammer to connect employees and company leaders, said, “Our greatest thinkers are within the company.” The ROI of your enterprise social network can largely depend on the C-suite’s belief in using it as a tool to listen – rather than broadcast – to employees. Don’t miss that opportunity.